Scunthorpe have signed Marcus Williams from Reading until the season's end and Ramon Nunez from Leeds for a month, both on loan. Williams, 24, left the Iron on a free transfer during the summer but has found opportunities at Reading limited. 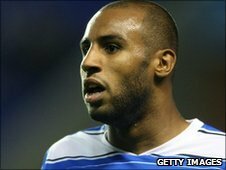 He has made five appearances in all competitions for the Royals, but has not featured since August. Nunez, who played twice for Honduras in last summer's World Cup, has made just two league appearances for Leeds. The 25-year-old joined Leeds on a short-term deal in the summer after joining from Olympia in his homeland and extended his contract until the end of the season in January.